My “Lali,” liked to please him though. She had Austrian training in the kitchen and made exquisite and elegant foods. Once in Mexico, she fell in love with the cuisine and learned how to combine the two culinary traditions. She became a master at it. 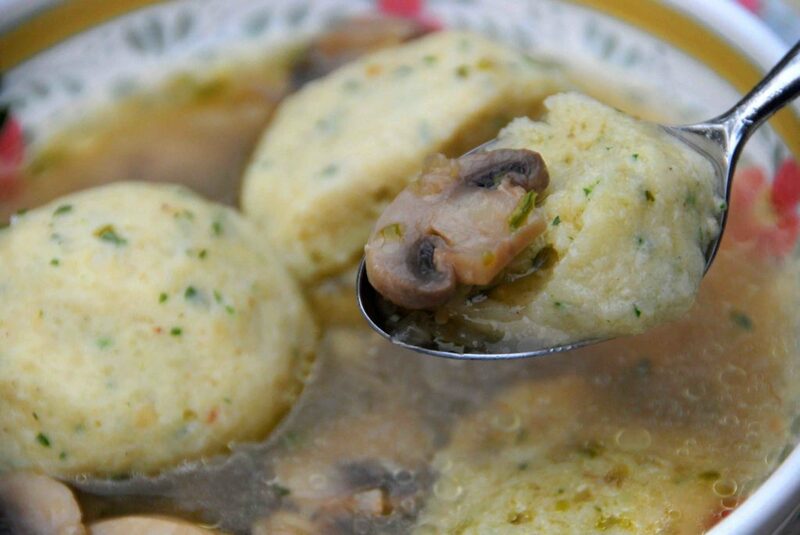 She created a classic dish out of her Mushroom-Jalapeño Matzo Ball Soup. See? Just because you add a chile to something does not mean it becomes Mexican. You have to know how to add it, how much of it, and most importantly, when to not add….not every dish that is Mexican has a chile in it. Lali made a mushroom base with a traditional Mexican treatment. Gently cooked onion, garlic and chopped jalapeños (with the seeds please) until the edges begging to brown. 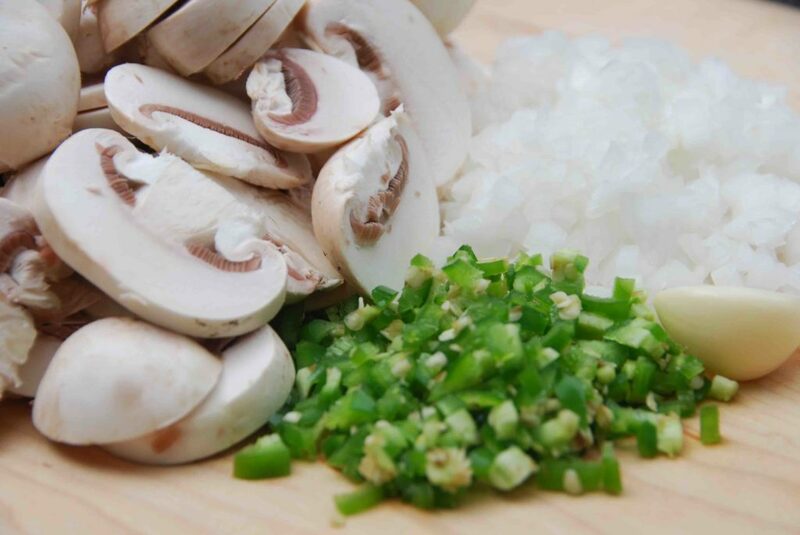 Then, she added the mushrooms and covered them, so they would steam in the mix. Once their liquids came out, she would open the pot again and let them dry, and begin to brown. Of the thousands of ways to use chiles, steaming them with other ingredients brings out their flavor in such a subtle way. Then she poured her home made chicken broth on top. 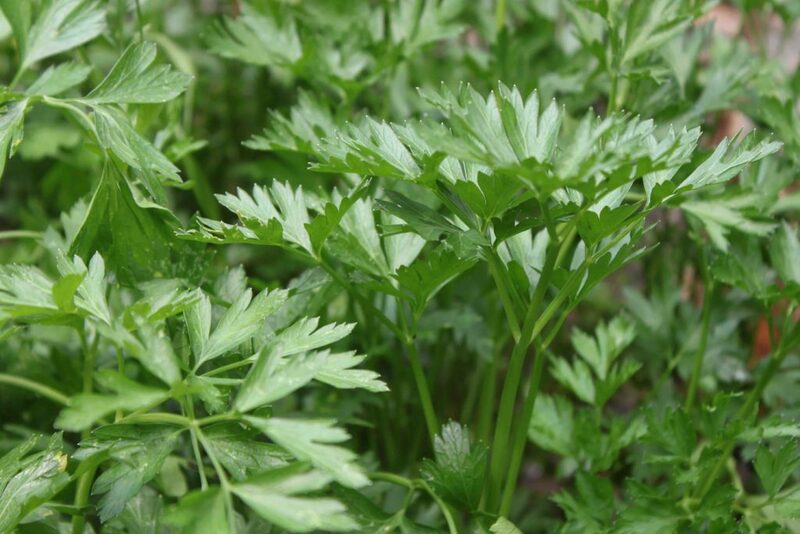 Her Matzo balls were fluffy, round and simply seasoned with parsley (which has been growing so happily in my garden). Grated nutmeg is also added to the matzo ball mix. No need to add freshly ground black pepper. Then she had a trick to make the matzo balls fluffy. That is, if you like them fluffy. Which most of my family does. My grandmother’s trick to make them fluffy was to add sparkling water. But just a tablespoon for a full recipe. I always separate a bit of the mix without any, because I am the only one around here that likes the matzo balls hard. 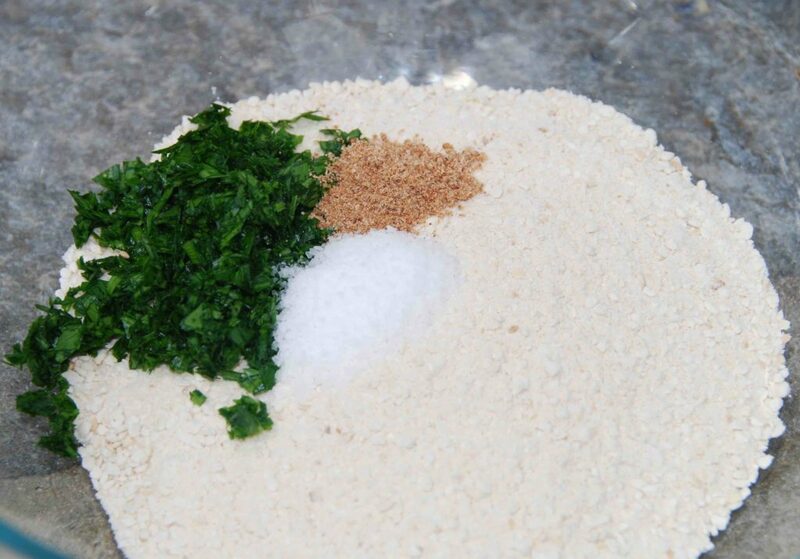 In a large mixing bowl, combine the matzo ball mix, parsley, nutmeg, and 1 teaspoon of salt. In another small bowl, lightly beat the eggs with 1/3 cup of vegetable oil. Fold in the beaten eggs to the matzo ball mixture with a spatula. 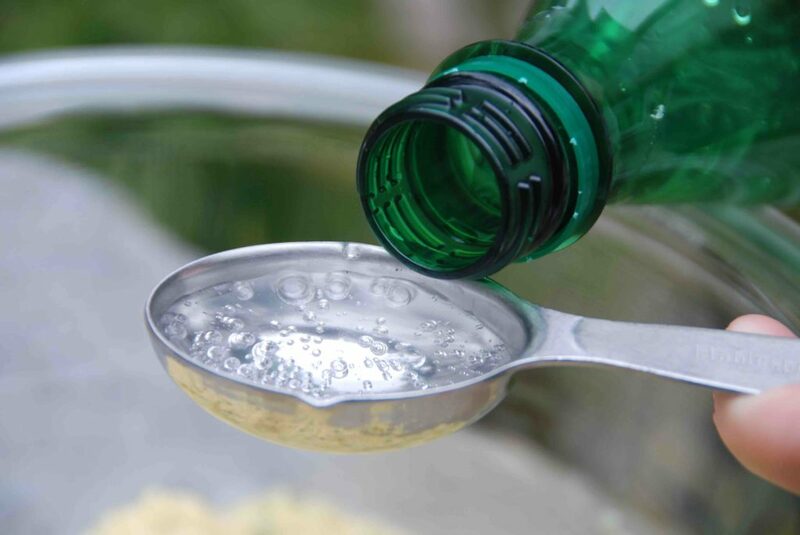 Add the sparkling water if you want the matzo balls fluffy, and mix well until well combine. Cover the mix and refrigerate for at least half an hour. Bring about 12 cups of salted water to a rolling boil in a large soup pot. Bring heat down to medium and keep at a steady simmer. With wet hands, make about 1 inch balls out of the matzo ball mix and gently drop them into the water. Cover and simmer for about 25 to 30 minutes. 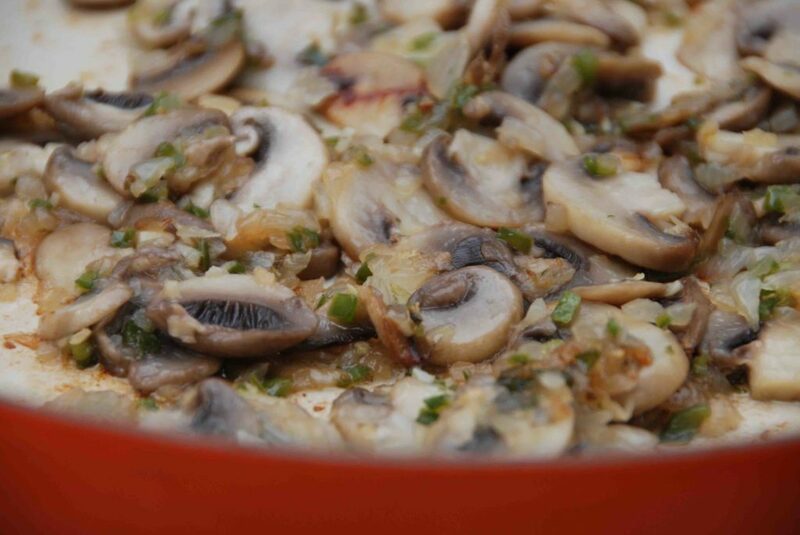 Take off the lid and pour the chicken broth over the mushroom base. Once it is simmering, incorporate the already cooked matzo balls, without their cooking liquid, and serve. Oh Pati, This is just such a beautiful family story. A very delicious one for certain. It is filled with family heartfelt love. There is no substitute for that beautiful warm feeling. Lovely recipe. Will have to make this on Passover. I have one Aunt who makes the matzoh balls hard, and another who makes them fluffy. I have the best of both worlds! That is the best of both worlds, Sharon! Thanks, Patty! You can message me all you want, I love interacting! My wife and I love your show (we love Mexican food). We tried your recipe for Jalapeno & Mushroom Matzoh Ball Soup and absolutely loved it. It was delicious both times. We have tried a few other of your recipes and loved them as well (Chicken Tinga). Keep up the great work! 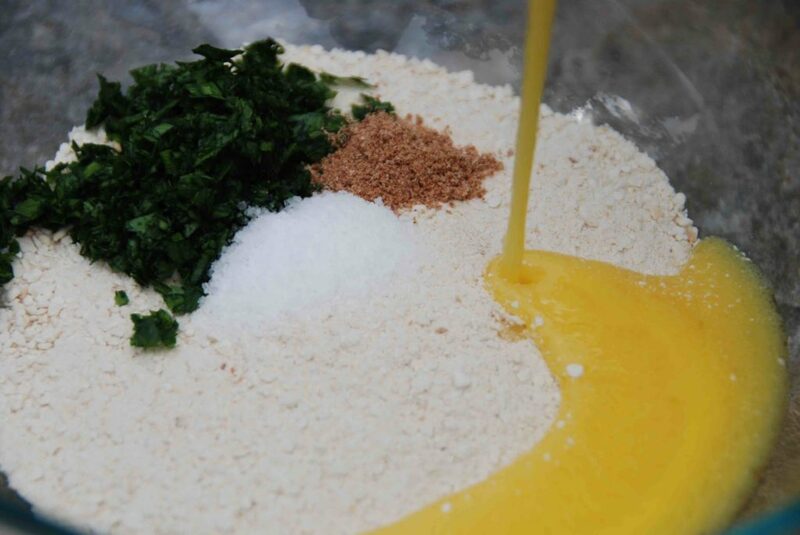 Do you have recipes that are come from the Huatulco area? Hola Larry, Thank you so much for your note & for watching! So happy you tried my matzoh ball soup. Give the amarillito mole a try: http://patijinich.com/2011/06/amarillito_mole_with_chochoyotes_or_masa_dumplings/. It’s common in Huatulco! Again another amazing soup. My family loves anything Mexican and this was another pleaser. You are such a good teacher and make it so easy to make. Was really great for Passover this year. do you have any other recipes for Passover? 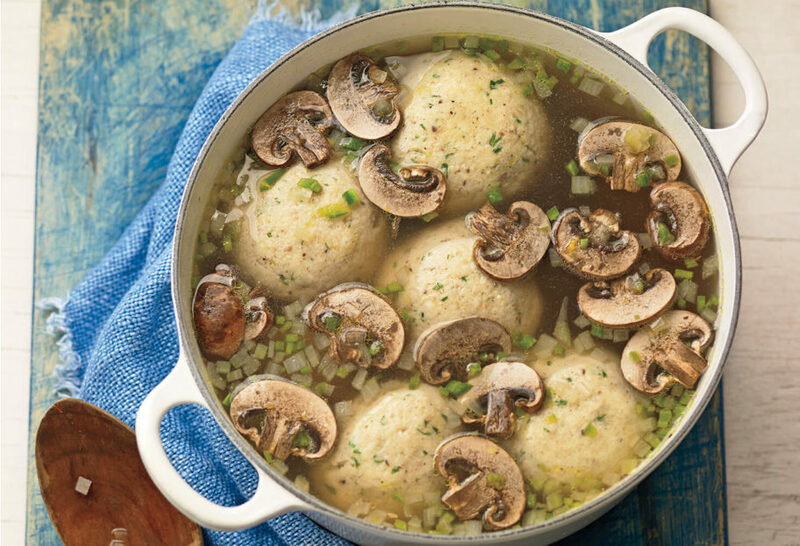 I am one of your PBS fans, but only heard of your recipe for mushroom and jalapeno chicken soup with matzo balls recently. I am going to make it this Passover. My family will love it. Just one question–what is the matzo ball mix that you refer to? Is this a pre-mixed blend, and if so, can you recommend a manufacturer? By the way, I will be teaching a class on unusual Passover recipes, and will be passing this recipe along to my synagogue friends. I am married to a guy that lived in Bratislava until 1946.We were married in D.F. in 1960. He also loves mexican cooking and hot dishes. My mother-in-law used to make matzo ball soup but mostly around Passover. Muchas gracias para las recetas. Sarita, This is so lovely! Thank you so much for sharing!! I really enjoyed watching you cook at The Chew, you are an amaizing cook and a great TV host! I have to mention that I saw you using a cheese mix on the pepitos with cheddar cheese, I always thought that we don’t use cheddar cheese on mexican cuisine, am I wrong? It still look delicious an I can wait to try the recipe. Hola Keren, Thank you! I love using Mexican Manchego and Oaxaca cheeses, but Mozzarella, Monterey Jack or a light Cheddar work as well because they melt nicely. I made the mushroom jalapeno matzoh ball soup and it was a huge hit! Going to add it to my regular repertoire for the holidays from now on. Any special ideas for break fast on Yom Kippur? Thank you and looking forward to your program at the Mexican Cultural Institute later this month. Hi Suzi, I am so glad you enjoyed the Mushroom Jalapeño Matzo Ball Soup! I love making the Chicken with Tamarind, Apricots and Chipotle Sauce for break the fast. You can find the recipe here http://patijinich.com/2010/09/chicken-with-tamarind-apricots-and-chipotle-sauce.html. I am looking forward to seeing you at the Mexican Cultural Institute! Made this last night – it is really delicious. The leftovers will make this gloomy drizzly day more bearable. Thank you! I have recently discovered you are on Public television in my home town of Chicago. I love, love, love, your show! For someone so young, your are an amazing cook and a wonderful teacher. Thank you for making these wonderful recipes available to us. Until recently, I did not realize the other various dried fruits and vegetables, herbs, and spices, one can use to spice up our own Mexican meals until I started to watch your show. Thank you for re-educating me and I promise to pass on your recipes to the next generation. Agree… I just made adobo sauce for the 1st time thanks to your teaching!… I live in Southern California next to several amazing markets! Best part of cooking is the amazing smell that perfumes my home! thank you again! Oh we love the aromas around here too Erik!